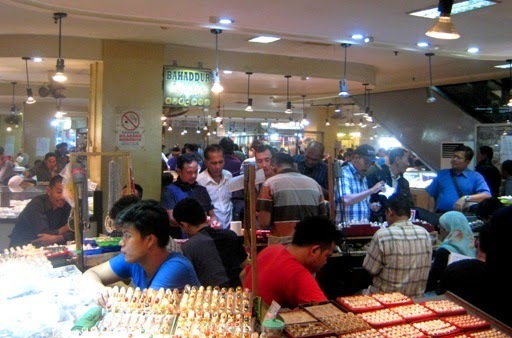 Known locally as Rawa Bening Market, the newly renamed Jakarta Gems Center (Jatinegara, East Jakarta, Indonesia) is never empty of visitors nowadays. In the past few years, wearing and collecting gems are becoming increasing trends here. Even the prices of some types of gem stones -like Bacan stones- are greatly increased. I have some loose stones that given by my late mother. My husband planned to use the pyrus stone for a ring. In fact we could make the ring at the jewelry store nearby, but we were curious to know the place. Moreover, a good friend of my husband has a cousin who works as a stone polisher at the market for more than 20 years. To meet him was also a reason why we visited the market. It’s nice to have a trusted man to ask about gem stones. Jatinegara Railway Station. Captured from the pedestrian crossing bridge. At first, stone traders in the Rawa Bening market only occupy a roadside around the market. But now almost the entire floors of the building contain the merchants of gem stones. 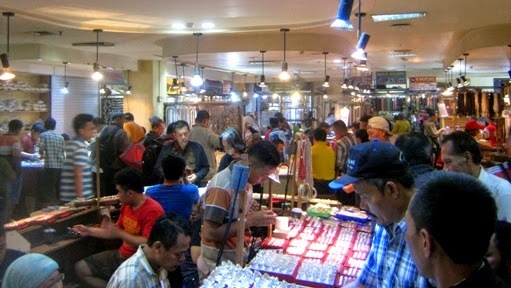 It’s said that Rawa Bening becomes the largest jewelry stone market in the Southeast Asia. I guessed I saw hundreds of traders there! 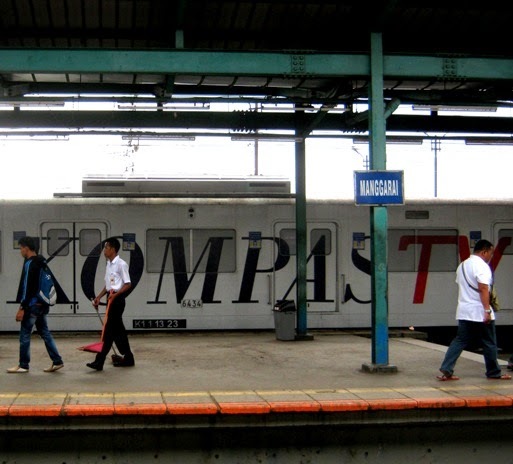 From my city Bogor, we took the commuter train and stopped at the transit station Manggarai. 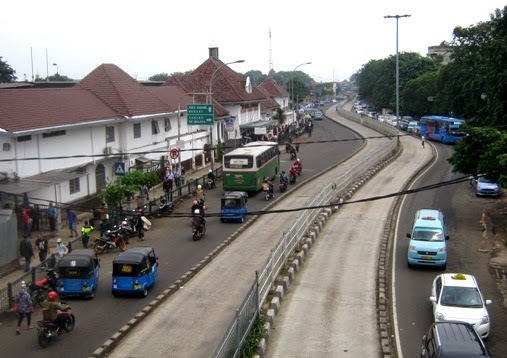 Then we waited for the train that passed by the Jatinegara railway station as the market located across the railway station. 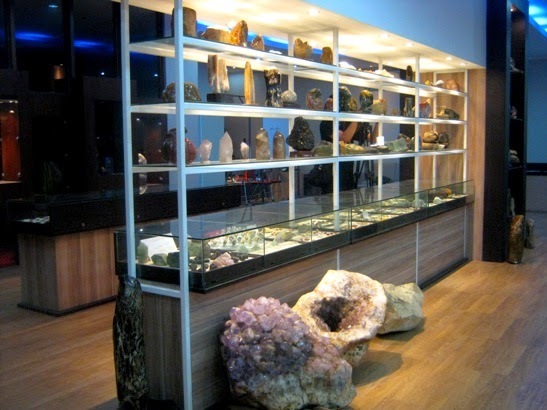 Jakarta Gems Centre provides four floors of stands and stores, each sells precious stones, semi- precious stones, rare stones or only colourful syntentic stones for necklaces, bracelets, rings, and home decorative items. There are also available stone polishers and jewelry makers. The information centre of Indonesia local stones. Wonderful wide varieties! 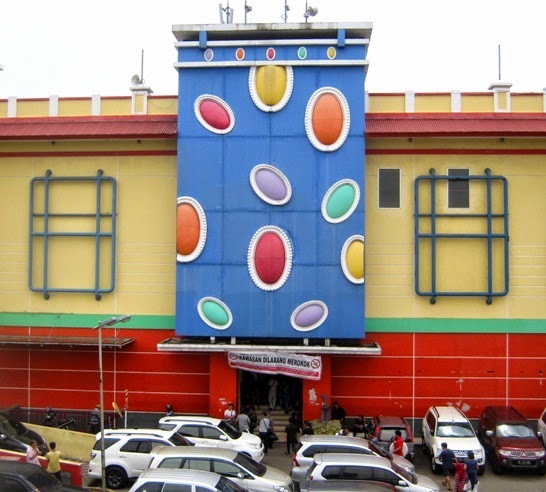 It is a wholesale market, but many stores allow people to buy at retail. Here you can find agates known as akik stones and lots of other different stones. Many Indonesians believe that some stones contain mystical powers that can bring good luck and wealth to the wearer. No wonder if the Jakarta Gems Centre is most often crowded. The first floor of the market shows more hectic situation. If you aren’t a stone expert, please be careful there. It can be difficult to differentiate between the natural and the synthetic ones. Gem lovers who want to start collecting natural precious stones should go to the Gems Centre with others who have enough knowledge about gem stones. The more practical way, don’t buy any stone without added certificate made by a stone lab. The price will be higher, but you won’t be disappointed. We didn’t buy any stone there. We just polished our Pyrus stone at a new friend’s stand and made a male ring with it. We left the market about half an hour before the leaving schedule of the train that took us back to Bogor.